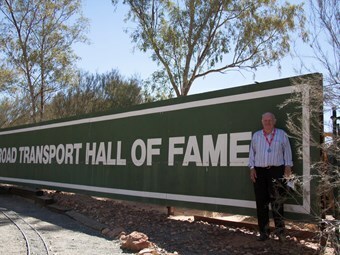 The National Road Transport Hall of Fame reunion sees hundreds, sometimes thousands, of trucking and transport legends flock to Alice Springs each year. You’ll be hard pressed finding this many truckies in one place: young and old, male and female – all with diesel in their blood and a view of the highway never far from their mind. This year’s Reunion took place on the last weekend in August, kicking off with the emotionally-charged Shell Rimula Wall of Fame ceremony, where 70-odd transport heroes were honoured for their service to the industry. Proud truckies, family members, colleagues, and volunteers gathered in the Hall of Fame for the ceremony on Saturday morning, eyes drawn to the floor-to-ceiling memorabilia lining the walls. VIDEO: Meet the Hall of Fame greats! You walk into the Wall of Fame ceremony, whether it’s your first time or your 10th, and you are guaranteed to leave with an even greater appreciation of the road transport industry than before – it’s a one-of-a-kind event. Proceedings commenced with an address from much-loved Hall of Fame chief executive Liz Martin OAM – the selfless industry icon behind the Hall of Fame operation. Martin took the time to thank sponsors, volunteers, and attendees for making the Wall of Fame ceremony possible. "We have many sponsors who stepped up to the plate for us and I’d also like to thank all of you individuals that donate photos, trucks and memorabilia to us: our facility wouldn’t be where it is today without you," Martin says. Mayor of Alice Springs Damien Ryan got up to say a few words, emphasising his deep appreciation of truckies – a refreshingly pleasant sentiment from a member of parliament. "What Liz does out here with her small committee is fantastic and it’s a great way to commemorate and remember the history," Ryan says. "Alice Springs would have never been here without people who drive trucks. I really commend you and your families. I understand the fact that families have got to be very strong to support people in this industry because someone’s on the road for a lot of days. "I also reflect on the truckies at the moment, the way they’re helping the farmers,’ he adds. "It’s great what you do for our country and it’s great you have this spot here that commemorates that." As the ceremony rolled on, a common theme emerged: humility and genuine surprise on the faces of every inductee called to the stage. The men and women acknowledged were selfless, they didn’t expect the recognition, but all were overwhelmingly thankful when given the honour of a spot on the wall. Sadly a number of inductees were no longer with us, but family and friends were there to accept the awards, a touching experience for everyone in the room. "The sad part for me with the Wall of Fame is the number of inductees that have passed away and what we would like to see is that the families and the community acknowledge those people," Liz says. The inductees ATN spoke to after the ceremony couldn’t wipe the smiles off their faces, really driving home just how important the Wall of Fame is in acknowledging people who have devoted a lifetime to the transport industry. Kapunda-based trucking icon Maralyn Bierwirth was inducted onto the wall after decades of successful two-up and solo work running road trains from Adelaide to Darwin. She says her late father would have been proud to see her name on the wall, and attributes her love of trucking to the early days spent with him in the truck. "I think it would have made my late dad pretty proud, he had trucks of course and that’s where I started in the industry," Bierwirth says. "As a little girl I was always with my dad in the trucks … and when I grew up I’d occasionally drive trucks on the weekends." She says she didn’t have much choice but to drive trucks, because often the only vehicle she had to get home in was a tipper. "He’d say, ‘you can go home,’ and I’d say, ‘what am I going to drive?’ ‘There’s the truck, go home,’ he’d say," Bierwirth laughs. A successful trucking career was born after Bierwirth left school and started a transport company with her then-husband. "I had a trucking business of my own with my first husband," she says. "I still looked after my children, did the hospitality work, driving at times with him in the trucks, and I did the bookwork." Bierwirth explains that after separating from her first husband, she decided trucking would be her life’s work and, after meeting her current partner John, the two of them became a successful two-up team. "I decided once and for all, that trucking was going to be my life," she says. "So I’m with my now partner, who I’ve been with for many years, doing two-up work." In the beginning, John wasn’t too flash on the idea of two-up, but it had nothing to do with driving alongside Bierwirth. "John wasn’t really keen at the time to go two-up … it wasn’t that he didn’t want to go two-up with me of course, it’s just that it was a Kenworth and he wasn’t a Kenworth man, he was a Mack man," she laughs. "But anyway, I got my way! 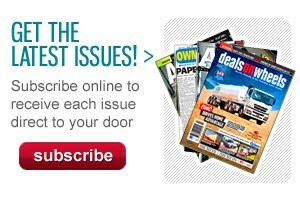 Then occasionally I’d do a lot of work on my own, pulling triple road trains up here to Darwin in my 60s." Bierwirth has had to give up driving due to health issues, but says she loved every minute in the truck and would still be doing it today if she could. "The last two years I’ve been off because I developed bone marrow cancer, so I’ve been told it’s not a good idea for me to be in a truck," she explains. "I loved my job, which did help too because I really loved what I did. I found it interesting and I went to a lot of places I never thought I’d ever go. Some of the places there was not much life around, but I loved it." ATN also caught up with veteran Tasmanian truckie Geoffrey Clark, who did his first load as a youngster. "I did my first load of logs at 11 years of age … I’m now going on 81," Clarksays. "I had no trouble with the policeman. When I went for my licence he said to me, ‘are you the young bugger that drives the trucks around?’ and when I said yes, he said, ‘what are we doing with the driver’s test, take me back.’"
Clark’s driving career saw a brief hiatus during which he completed a mechanical trade, but it wasn’t long before he was back in the cab of a truck. "I left school and did my trade as a motor mechanic," he says. "After that an opportunity came up for me to do a contract carting daily to the Central Highlands … and I did that for 30 years. I wore out five trucks and I’ve done, I think, about 5.5 million kilometres." The award came as a complete surprise after Geoffrey’s long-time friend and mechanic, Steve Denny from Denny Mechanical, tricked him into thinking they were going on a holiday. "We drove up … I told him I’d take him a holiday so we could keep it a secret," Denny laughs. Geoffrey says a place on the wall reminds him of just how much he has to be proud of, citing 30 years of on-time deliveries in difficult conditions back when trucks weren’t too flash hot. "To do 30 years into the Central Highlands with the climate and the weather we’ve got there and not miss a day getting the goods through, then to sit back and think, ‘that can never be beaten’, it’s just something I’m ever so proud of." Viva Energy Australia national transport sales manager Robert Cavicchiolo says supporting the Shell Rimula Wall of Fame for the past 18 years has been a cause very close to the company and they plan on backing it into the future. "We’re a key sponsor for this activity and it’s very close to us in terms of what we do," Cavicchiolo explains. "The most important thing here is people being recognised … It’s great to get behind that. "Every year is a great year, and every year brings a brand new set of inductees and legends into the Hall of Fame. We’re always happy to get behind Liz and the team and the volunteers of this great function." Sitting down with Martin after the ceremony, she explained the need to keep this event running for years to come and also the importance of improving the public perception of the transport industry. "We plan on running this well into the future," she says. "We’ve been doing this for 18 years, and there are now just over 1,300 names up on the wall. The trucking industry is very much maligned by the greater community so we love to put the positive message out and encourage an appreciation of the industry. 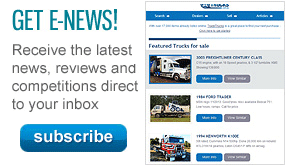 This is also about the strong sense of pride in this trucking community and acknowledging that."